RTI International is seeking staff the position of Data Scientist for a USAID-funded malaria surveillance and monitoring project in Dar es Salaam, Tanzania. The Data Scientist will work with the other members of our team to provide state-of-the-art support for analysis and interpretation of epidemiological, entomological and drug efficacy data. S/he will carry out advanced analytics (predictive modeling, mathematical and simulation modeling, forecasting, text analytics, social network analysis) of malaria data. The Data Scientist will also support software development for data science applications, and support data visualization, particularly as it relates to dissemination of project data, findings, and achievements. S/he is expected to work closely with the Monitoring, Evaluation, Research, Learning, and Adapting (MERLA) Advisor, ICT Specialist, and RTI short-term experts in MERLA, ICT, data science, and malaria epidemiology. The Data Scientist must have a degree in computer science, data science, statistics, applied mathematics, engineering, operations research, economics or related quantitative field. S/he must have experience outside of a classroom environment with predictive modeling, machine learning, forecasting, optimization, text analytics/NLP, and/or simulation modeling. S/he must also have experience with SQL, modern open source software used in advanced analytics, software development for data science applications, and data visualization, such as Python, R, d3.js, ggplot2, or Gephi. Proficiency in English is required. Email cover letter and CV in English to UTM@rti.org by 7th September 2018. Applicants must include the POSITION TITLE in the subject line of the email. Please do not attach copies of certificates. Only shortlisted applicants will be contacted. RTI International does not use agents or require any form of payment in the recruitment process. 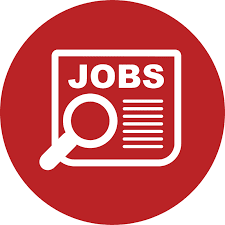 RTI International is seeking staff the position of ICT Specialist for a USAID-funded malaria surveillance and monitoring project in Dar es Salaam, Tanzania. The ICT specialist will coordinate the project’s IT software design, development, deployment, and support. S/he will maintain functional relationships with the Tanzania National Malaria Control Program (NMCP), Zanzibar Malaria Elimination Program (ZAMEP), Ministry of Health (MoH), University Computing Centre (UCC), University of Dar es Salaam (UDSM), and other relevant stakeholders to ensure strategic and technical alignment with GoT priorities, plans and standards. The ICT specialist will build in-country capacity for support and maintenance of DHIS2, SmartCare, DATIM, eLMIS, and other HIS technologies. S/he will design, develop and deploy all core and technologies and middleware to support the integration of databases in health and data visualization platforms. S/he must have prior professional experience as the senior manager or higher in information technology management, business analysis, or enterprise/solution architect and proven experience with information system and technology management, including requirements gathering, system design, implementation, and policy development. S/he must also have experience with developing technical diagrams to represent the business process, data flow, logical and physical data modeling, as well as knowledge of DHIS 2 and mobile data collection tools. Proficiency in English is required.